Summary: Bampton Common is a fell in the eastern region of Lakeland. 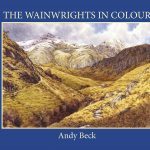 Wainwright listed it on his first and second lists but it didn’t feature in the Far Eastern Fells book of the Pictorial Guides where it became an area mapped in the Wether Hill chapter. 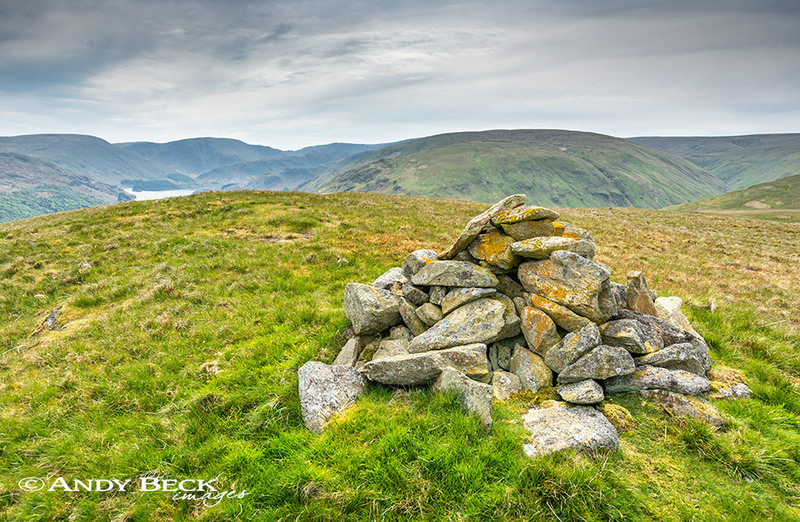 He is most likely to have listed it originally as on the maps of the day it had interesting features marked such as the standing stones and cairns at the col between it and Four Stones Hill (see interesting features below). 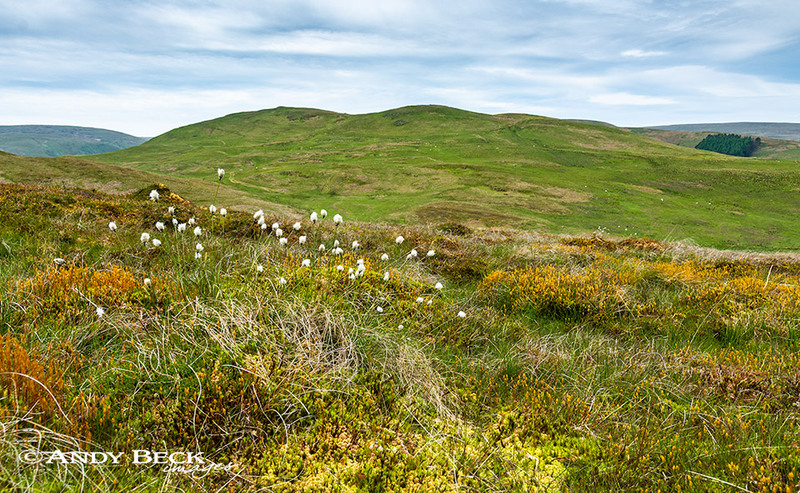 The fell is positioned north-west of the Haweswater dam and to the east of Wether Hill. It is listed as Bampton Fell in other fell lists. The terrain consists of some indistinct paths and tussocky grasses. 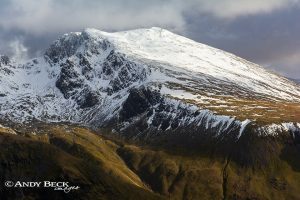 Topographical detail: Wainwright’s summit is listed as the height as 1603′ 489m and the summit as GR: NY48712 16476 is marked by a small cairn. The true highest point is 8m south-west of cairn and is about 30cm higher. Points of interest: Standing Stones (x2) and historic cairn at Four Stones Hill. 6′ high pillar on south side of Four Stones Hill with impressive view of the lenght of Haweswater reservoir. Nearest facilities: Car Park (free in Burnbanks village) room for 7 cars. Tearoom and pub, The Mardale Inn in Bampton village. Haweswater Hotel on east side of Haweswater reservoir. Pub and rooms in Bampton Grange at the Crown and Mitre. Star rating : (2 / 5) Not a dramatic fell but fairly remote and quiet with several points of interest and great views from Four Stones hill in particular.